Dr. Wu is thorough. She spends time listening and talking with her patients. High recommend to anyone searching for a “top notch” gynecologist! Dr Wu is a very good doctor. I am very comfortable with her and she spends the needed time with you. I travel over an hour from NJ to come see her. I have been a patient for over 10 years. Dr Wu is very thorough. She listens, and makes me comfortable. Dr. Wu is an excellent OBGYN. She thoroughly explains everything to you, and is always concerned with the well being of her patients. She is very personable, too! Always a pleasure seeing Dr. Wu, she's very thorough and makes you feel comfortable. First time visiting Dr. Wu, she was very helpful. She made my visit extremely comfortable. Professional and made me feel comfortable. Explained all parts of my procedure. Not only is Dr. Wu the BEST, but her office staff- Bill is always smiling and helpful, and nurse Katie is great too! This is a great practice all around! Dr. Wu spends the perfect amount of time with me, answering all questions and addressing any concerns. Great bedside manner! I have been a patient of Dr. Wu for 15+ years. She is the most thorough and caring doctor. She not only cares about your gynecological health, she truly cares about your overall health. I wish I could use Dr. Wu for my everything doctor and I totally recommend to her anyone that wants great health care from a caring provider!! I have been Dr. Wu's patient for over twenty years. She is is compassionate and caring. She is always willing to listen and provides excellent medical care. Dr. Wu's office manager, Bill, provides great customer service and is a welcoming face when I walk through the door. I highly recommend Dr. Wu and her staff. Dr. Wu and her staff are always helpful, accommodating and professional. 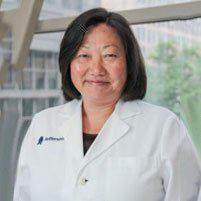 Dr. Wu is extremely bright, knowledgeable and current on the latest research within her specialty. Dr. Wu is the best gynecologist I have ever had and because I've moved a bunch there have been a few over the years! I have referred several friends to her office and we all agree!